As always, we’d like to take this opportunity to thank you all so much for your continued support. And now it’s time for Cosmo Dart’s new product announcement. August 27th, 2018, these exciting new products will be hitting the shelves of dart shops everywhere. No more rolling these dice! 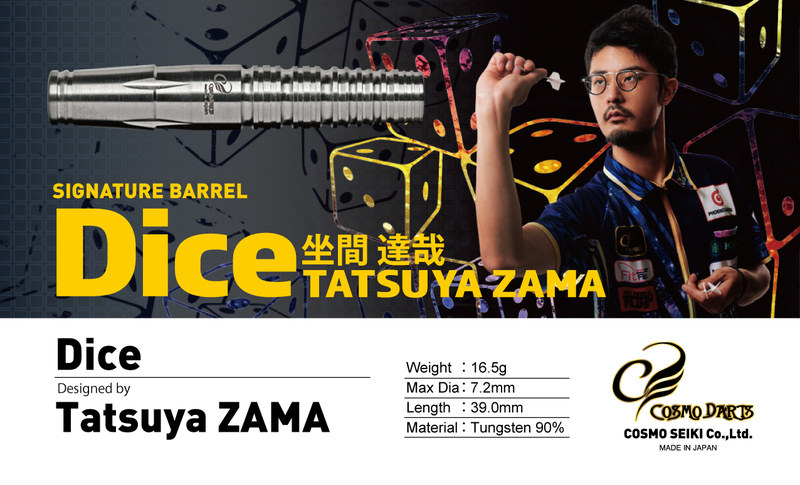 Take Lady Luck in your own hands with Tatsuya Zama’s signature barrels. The grips have been adjusted for maximum usability. Give these babies a throw and hit that hard bull! Do you have Ambition? 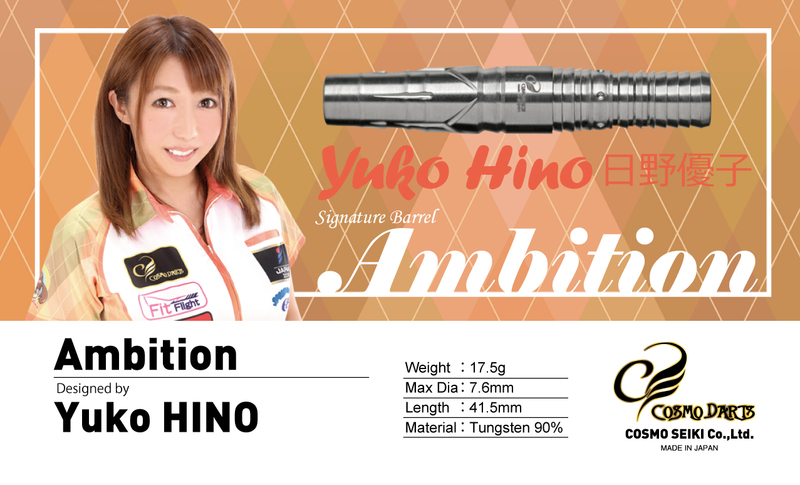 Achieve your potential with Yuko Hino’s new signature barrels. The synergy between the tapering and cuts create a comfortable grip and flight. Get Ambition and be ambitious! 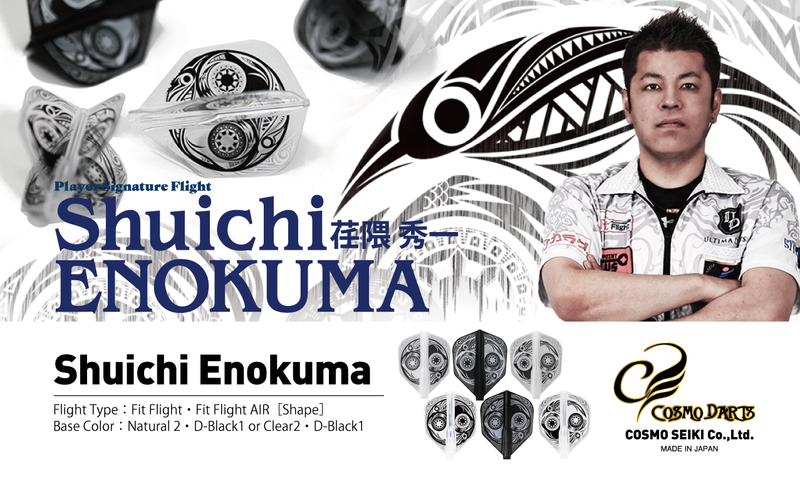 These new flights are a collaboration with Shuichi Enokuma, Japan’s top ranked player in 2017. Using a tribal motif, these flights take Shuichi’s trademark penguin and give the black and white birds a yin and yang spin. Let your light side and dark side come together and enjoy these beautiful flights. Available in Fit Flight, Fit Flight AIR Shape. 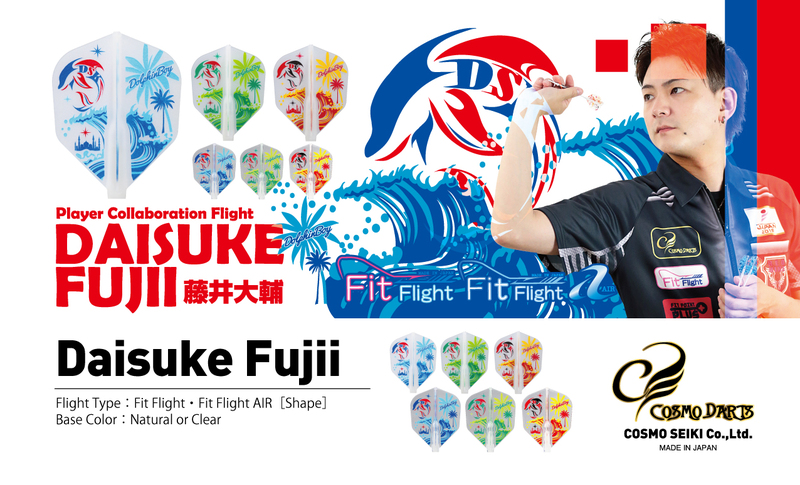 Catch a wave of 180’s with Daisuke Fujii’s second collaborative flight. Or just flip-out over their cool design. 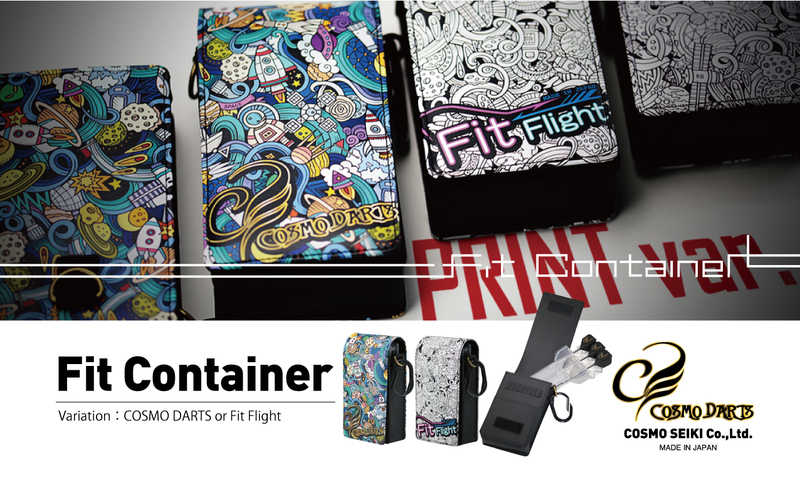 Hit that double or triple orbit when you carry your darts around in the new variation of Fit Containers. Available in the colorful Cosmo Darts variety or the stylish Fit Flight version. These products will be available on August 27th, 2018.